One test after another: why do students have to take EOCs and finals? When the second half of spring semester arrives, students are bombarded with endless tests. The two most important testing periods of the semester are finals week and EOC week. 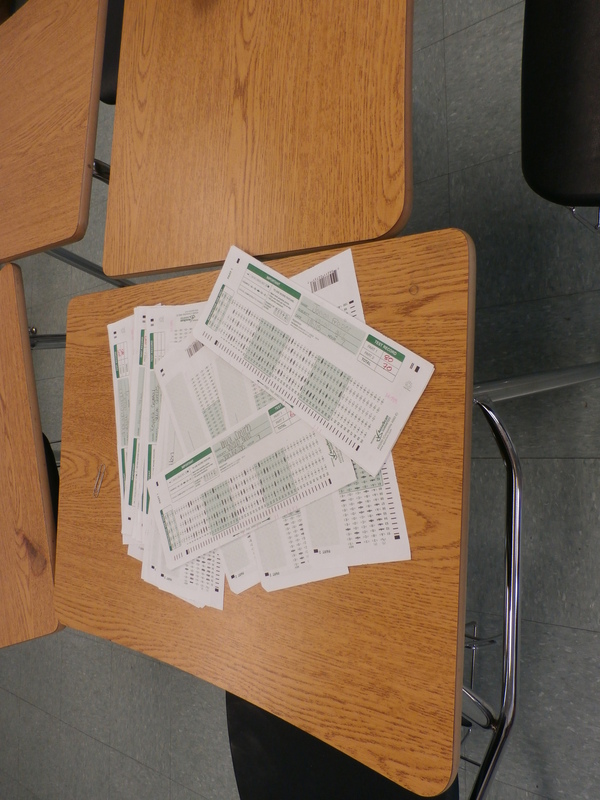 Because Georgia is one of the lowest ranking states in education, the end of the year tests had to be rearranged. Now standardized tests like the High School Graduation tests were removed while more comprehensive tests like the EOCT were made more difficult. The EOCs, which were originally called the EOCTs are the first of the two sets of tests students must take. This year, the EOCTs will take the the form of the End of Course Georgia Milestone Tests. The name difference between the two tests is a minor difference in comparison to the structure of the two. While the EOCTs were a set of tests based on the on-level curriculum, the GA Milestone tests are far more difficult, comprehensive, and longer than the original tests. Why do students have to take the EOCs? Simple, if the county and state requires it, then it must be done. The way students are tested through these assessments are either by a written test or a performance based tests. However, the end of course assessment is always written. This year, like the years before, the EOCs will be taken online. The only subject in which there will not be an online exam is math. “The county is also very clear that no final is to count more than 25 percent of the grade whereas the EOC counts 20 percent,” says Willis. Counties have to take these measures because of the requirements set by the state. Willis states that, “[what] states were tasked with is to come up with some assessments that make them gateway tests to get students ready for college.” While it is possible for the county to follow their own rules in regards to testing, following the state regulations is the easiest way to insure that the county and its schools will receive all the benefits the state provides by adhering to their rules. The grading for the EOCs according to Willis was defined by the county. “The county is also very clear that no final is to count more than 25 percent of the grade whereas the EOC counts 20 percent,” says Willis. After taking a test that is worth 20 percent of the overall grade, students will have to take finals in all of their classes. Finals are composed by teachers themselves or in their PLCs (Personal Learning Communities). Finals count less than the EOCs but they are just as important. “I don’t think its right because the EOCTs are generally an on-level based [test], so if they make it harder, online students will do worse,” said junior Elizabeth Gilbert. “If you make it harder a lot of the on-level kids won’t pass because you’re making the material harder and a they aren’t learning the material properly,” added Spiegel. “Well if they are aware about [EOCs] then they should make their finals easier and if students are already preparing for the harder state exam,” said junior Mandy Peskin.